LAURA BEE FERGUSON: A beekeeper, educator and activist, Laura Bee brings a unique perspective to the study of the honeybee. Laura combines cutting edge natural beekeeping methodology and practices with a cross-cultural and spiritual context in her beekeeping. She has developed educational programs for kids, teenagers and adults. 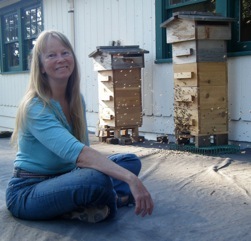 Laura served on the Jefferson County WA Beekeepers Board, providing mentorship and workshops for dozens of beekeepers. 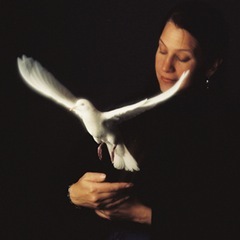 Laura has a BA in Anthropology and Religious Studies and is a life-long student of many forms of Spirituality. 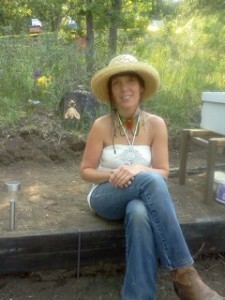 As an artist and poet, she has an ability to connect the scientific to the Sacred and is spiritually influenced by her work in the many apiaries she serves. Laura founded the College of the Melissae: Center for Sacred Beekeeping on January 1, 2012 and serves as its current Director. Laura is passionately devoted to the College goals, her students and Apis mellifera. JACQUELINE FREEMAN has been caring for bees since 2004. As a biodynamic farmer she is gifted in perceiving Nature intelligences, particularly honeybees, and has learned information not previously known about bees. She has spent many years working alongside them with an open and prayerful heart, hoping to learn how they can best be cared for. In 2010 the bees began to communicate to her about how they fulfilled broader roles in the hive, the matrix of their thought and imagination, and their intent to assist humans in their spiritual evolution. HORST KORNBERGER is a creativity consultant, interdisciplinary artist, poet, writer, lecturer and researcher into the field of imagination and creativity. Born in Austria in 1959, he began his career as a visual artist. He studied Speech and Drama in England, Goethean Studies in the United States and Waldorf Education in Australia. Horst is a Director of Creativity Consultants Worldwide and The Writing Connection and teaches at Rudolf Steiner College in Perth, Australia. 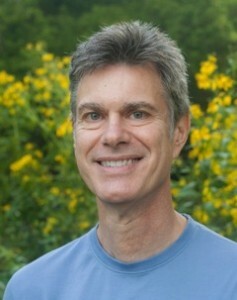 He is the author of Global Hive: Bee Crisis and Compassionate Ecology, The Writer’s Passage and The Power of Stories. He lectures internationally on themes of creativity, education, ecology and the use of the imagination as a healing and community building tool. Mekare is the creatrix of Wild Honey Ritual Theater and Dance Prayerformance. Created as a medium for her ritual prayerformance offerings, Wild Honey is a dynamic sacred container for the magical cross-pollination and nectar gathering that occurs when bringing together artists and innovators from many fields of experience. It is Mekare’s vision to gather and create this wild honey of extraordinary nourishment all around the globe. You can contact Mekare at: DevadasiM@aol.com and (US) (336) 971-1427. GLENIS REDMOND is a native of Greenville, South Carolina. She is the Poet-in-Residence at The State Theatre in New Brunswick, NJ and The Peace Center for the Performing Arts in Greenville SC. Her MFA in Poetry is from Warren Wilson College. She is a Cave Canem Fellow and a North Carolina Literary Fellowship Recipient from the North Carolina Arts Council and a Kennedy Center Teaching Artist. Her latest book of poetry is titled Under the Sun. Glenis participated on the task force that created the first Writer-in-Residence at the Carl Sandburg Home National Historic Site in Flat Rock, NC. She is a Kennedy Center Teaching Artist and is listed in their National Touring Directory. 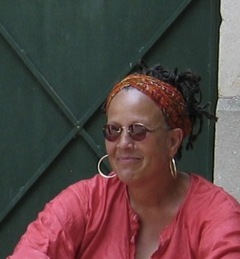 Glenis is also a full-time road poet, performing and teaching poetry across the country. TRACEY SCHMIDT moved to Japan at the age of 19 to live in a Buddhist monastery. 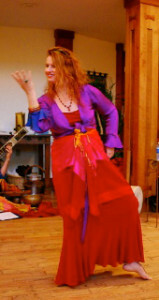 Her experiences there awakened a passion for combining spirituality and the arts. The fruit of that interest is her first book of poetry, I Have Fallen in Love with the World (2011, Logosophia Books) as well as her multi-media touring exhibit: The Awakening of Turtle Island: Portraits of Native Americans. This exhibit, which opened for the Olympics in Atlanta in 1996, toured eighteen museums in the southeast, including the Cherokee Museum of the American Indian. JEFF SCHMITT, OUnI, PhD (Firewalker) is a Folk Healer, Tabaquero, Ceremonialist, Musician & Scientist; he is a walker-between-worlds. Jeff has also practiced and taught Chinese martial arts for most of his life. He is a 32-year veteran scientist, entrepreneur with over 100 publications and patents to his name. As a social entrepreneur he has helped start five companies, one of which went public in 2002. 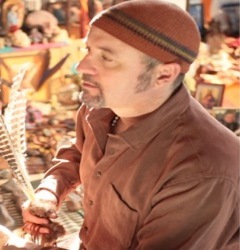 Jeff is a dedicated practitioner and student of the folk healing traditions of Peru and North America. Jeff enthusiastically works with clients using sacred healing and counseling methods; one of his greatest joys is bringing people together in sacred community to facilitate personal and planetary healing. 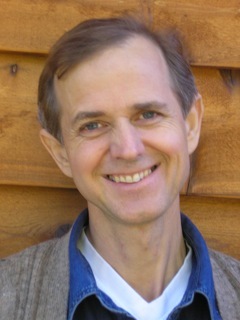 Jeff also works with a cadre of other spiritually-oriented scientists to help promote the eco-spiritual imperative – raising awareness about the sacred nature of our living planet and how one cannot separate earth stewardship from spiritual pursuit. 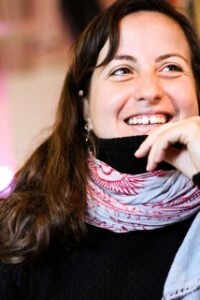 FILIZ TELEK: Wild at heart, free in Spirit, curious in mind, I am a nomadic artist, a process host, a community organizer, an occasional poet/writer/film maker whose purpose is to serve the evolution of human consciousness and awaken a sense of possibility and the sacred in human heart & spirit. As a community organizer, I have been involved in pioneering projects internationally and in Turkey by organizing events, workshops and dialogue & learning spaces to raise awareness about wholesome & sustainable living and empower communities for inspired action for more than a decade. As a photographer, I am called to cross the thin veil between the visible and invisible worlds, distilling the magic and sacred in presence. My photography – especially of the people in their most vulnerable and authentic expressions – is a reflection of my love for the world. I see and show beauty. Because amidst the ongoing chaos of our times, committing acts of beauty is necessary to keep sane. I create simple and beautiful visual narratives with “the resonance of the Sacred” to open hearts and to inspire/empower people to connect with our longing for the more beautiful world our hearts know is possible. While I continue the witnessing and storytelling, I also feel called to create space & time for love, truth and healing in the world through ceremony, circles and different gatherings. I am committed to serving the reemergence of gift consciousness and the rise of the feminine energy in our world. KAYLYNN SULLIVAN TWOTREES has spent a life at the crossroads where species, cultures, beliefs and the unknown intersect, collide and evolve in both dissonance and resonance. As an artist/educator/activist she has worked with individuals, communities, and organizations in the US, Europe and New Zealand. She is past recipient of the Lila Wallace International Artist Award and has held positions as Academic Challenge Scholar in Interdisciplinary Studies at Miami University and Scholar in Residence in the schools of Business and Fine Arts at Miami University and at Cleveland Institute of Art. She was the founder of Earthtime, an off-the-grid nonprofit in Arizona that focused on indigenous cultural exchange and support for sustainable practices in the surrounding communities. Currently she is a member of the National Park System Advisory Board Relevancy Committee; faculty for the Center for Whole Communities in Vermont and Lecturer at the University of Vermont in the Rubenstein School of Natural Resources. Over the course of the past 35 years, TwoTrees has continued to develop and evolve Seven Directions Practice® with the input and guidance of many indigenous elders. Practice for Living, Living Practice and Earthtime Practice are both expressions of this foundation, which focuses on helping humans re-orient to our indigenous mind, and regenerate our essential relationship with the Earth’s wisdom. Currently she is facilitating Earthtime Practice, a series of seasonal retreats on the cross quarter days at Shelburne Farms, Vermont. The retreats are focused on creating sacred space for reciprocal communication with nature and the unseen world.